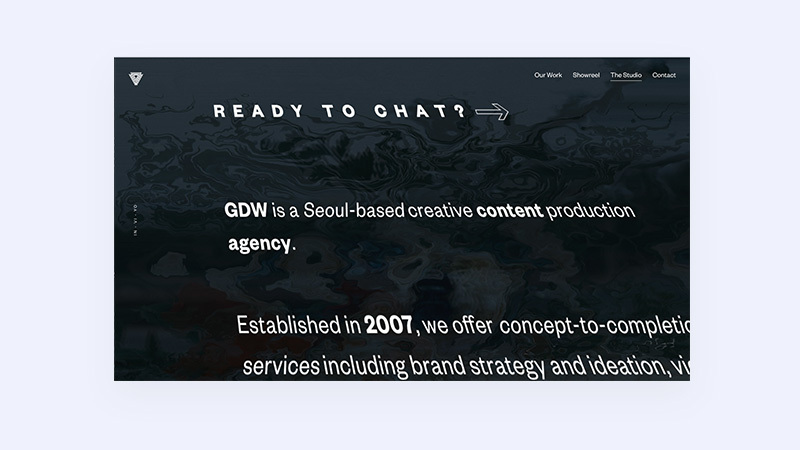 GDW is a Korean company specialised in video production. 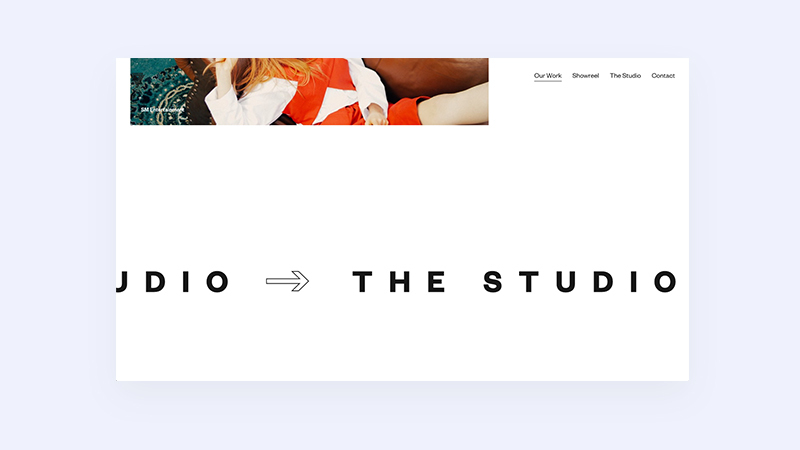 They wanted to have a cool portfolio to showcase their crazy work and to show it to north america. I aimed to create a fresh interface with weird animations to enhance their beautiful videos.The animated "screenshot" that follows the mouse was a good and different alternative to the video background and it works pretty well on mobile.